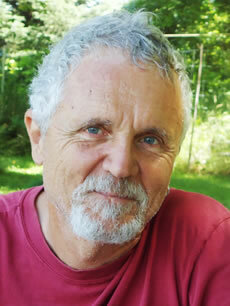 • Dr. Thierry Vrain, a former soil biologist and genetic scientist, worked for Agriculture Canada for 30 years. He was the designated spokesperson to assure the public of the safety of GMO crops. Since retiring 10 years ago from Agriculture Canada, Dr. Vrain now warns of the dangers of GMOs. It is high time to change the debate from the safety of engineering food to the pesticides that are inside the food. The technology is essentially about spraying a weed killer on the crops and the herbicide RoundUp is an integral part of the technology – the engineered crops are called RoundUp Ready. Farmers everywhere have been assured complete safety, higher yields and savings of herbicide. When these promises don’t quite pan out, the farmers don’t have much of an opportunity to do something different. It turns out the technology has been incredibly successful, so much so that there is not much of a market for non-engineered seeds now. Monsanto has a monopoly and has cornered the seed supply of much of the planet. Since all engineered foods come from crops sprayed with RoundUp, they all contain residues of RoundUp. And it turns out other crops are also sprayed with this herbicide, but much later, just before harvest, because it kills the plants and they are dried fast to make harvesting easier for the farmers. This is commonly done with sugar cane, beans, grains, potatoes and many other crops. I usually say in my lectures that if you want to avoid any residue of RoundUp herbicide in your food, go organic. That is the only choice. A bit of history to show why RoundUp should be avoided: in the early 60’s, a small chemical company was testing new molecules that could be used to clean industrial pipes and boilers of mineral deposits – just like the kettle in your home that makes mineral deposits after a few months or years. In 1964, the company, called Stauffer Chemicals, patented their best molecule. It was named glyphosate and described as a strong and very broad spectrum descaling agent. A descaling agent is a chelator in chemistry and biology lingo. A chelator is a molecule that can grab onto and hold metal ions. Within a few years, the descaling agent was also found to kill plants very effectively. It was then bought and patented in 1969 as an exceptionally broad spectrum herbicide by a bigger chemical corporation named Monsanto. The 70’s were the years of my graduate work in North Carolina and I remember RoundUp being touted as the new wonder herbicide. Allegedly, it was non-toxic to animals, had no effect on the environment and biodegraded rapidly. It was a really effective weed killer that grew very popular very fast. Starting with the first two engineered crops, corn and soybean, engineered to survive being doused with the weed killer, the spread of the technology since 1996 has been nothing but revolutionary. This is seen as high-tech agriculture – a gene revolution after the green revolution. In 2013, there were about 500-million acres of engineered crops and 90% of them were doused liberally with close to two billion pounds of glyphosate. The molecule is so ubiquitous, it is now found in our food, our drinking water, the rain and most importantly, in our bodies. Life is movement and movement is an activity that only one kind of molecule can perform in living cells. Proteins are the only molecules that can move. Their movement relies on metal ions that are an integral part of the protein molecules. Proteins with metal ions are called metallo-proteins, also known as enzymes. All enzymes of all living cells rely on their metal cofactors for proper function. If the metal ions are not available, the protein molecules cannot function, the cells malfunction, the organs slow down and show disease symptoms. So in one corner we have all living cells – which include bacteria, fungi, plants and animals – that must find metal micronutrients in their food to have a normal function. And in the other corner we have nearly two billion pounds of a chemical that functions by grabbing onto metal ions and holding on – making them bio-unavailable. If you find the imagery disturbing, read on. In 2010, glyphosate was also patented as an antibiotic by Monsanto. Obviously, the plan was to use it in hospitals and pharmacies. The patent contains a very long list of bacteria killed by this chemical; this is a very broad spectrum antibiotic and indeed damages the microbiome of animals. It does not affect many human pathogenic bacteria, but it certainly kills a lot of bacteria. In case you did not notice that word, microbiome, I will say a few words about this organ. It turns out all animals – even the bees – are symbiotic organisms with thousands of species of bacteria in their digestive system. We humans have about one hundred trillion bacteria in our intestine. Aside from riding with us and getting fed, this complex bacterial community actually controls many of our organs. Our immune system, our brain and many other organs are completely “influenced” (if you do not like the word control). We humans may think we are on top, but we are in a very dependent and symbiotic relationship with these bacteria. Firstly, they make most of the serotonin in your body. A small malfunction and a small decrease in serotonin and you are depressed. They make most of the other neurotransmitters too and your vitamins and half of the building blocks of your own proteins – too complex for your bodies to make. The microbiome is like a second brain. That is how important it is. When you eat engineered food – by definition, depleted of metal micronutrients because it contains residues of a strong chelator – your microbiome and your intestine are, of course, first in line. After a few years of eating depleted food, other organs start to show symptoms. This is shown in the statistics of both the Centre for Disease Control in Atlanta Georgia and the US Department of Agriculture, put together by Dr. Nancy Swanson for the US. I wish somebody would do the same compilation in Canada. The statistics show a very probable link between the amount of glyphosate sprayed on crops and the number of people coming down with gastrointestinal problems, kidney inflammation, liver damage and a host of other degenerative (read inflammation) diseases. These are very similar to the symptoms we have seen for the last 10 years in published studies of rats fed engineered food. Calorie rich and nutrient depleted, isn’t that the definition of junk food?